Resolution of at least 5120×2880, the native resolution of the 5K iMac. Smaller and lighter than my Nikon, so I think that means APS-C or Micro 4/3rds sensor size. Weatherproof, so I can shoot outside in Oregon in the winter rains. Total cost for the camera plus a base lens and a zoom lens in the $750 to $1500 range. 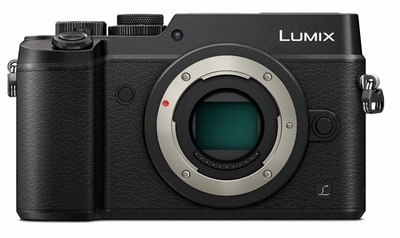 In my research, I’ve only really found one camera that actually meets all my criteria, that being the Panasonic DMC-GX8. It’s weatherproof (and shoots 4K video), and I could get the camera and a couple lenses for right around $1500. However, it just barely makes the resolution limit, at 5184×3888, leaving not much extra room for cropping. Reviews have also noted that it’s quite large for a mirrorless camera, and that’s what I’m trying to get away from. 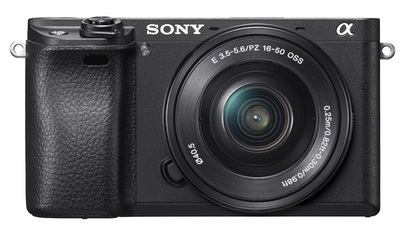 Sony is also launching the a6300 in early March. According to this comparison article, it’s got a number of nice improvements, such as 4K video recording, a weather-sealed magnesium-construction body, many more autofocus points for fast autofocus, and a much better viewfinder. 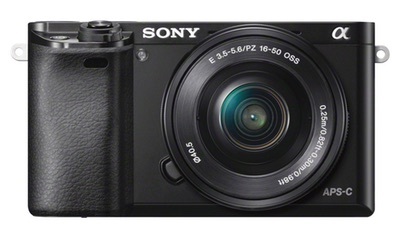 However, this camera is about $500 more than the a6000, which means I’d be close to the budget limit after adding a zoom lens. I’ve visited Digital Photography Review to read reviews, and to compare the samples for the A6000 and GX8 … but I’m still no closer to a decision. I welcome any advice from those with experience in these cameras, and/or more information on image quality comparisons and lenses. At present, I’m leaning to the a6300, even though it’s quite a bit more money. It meets all my criteria, has the fastest burst rate, shoots 4K video, and is smaller and lighter than the GX8. But is there something else I should be looking at instead? You don’t say what you want to shoot, and what you want to do with the results. Check out systems rather than specific bodies first. Bodies come and go at a furious pace still, but the lenses and accessories generally stay useful much longer. Does the system have the lenses you need/want at prices you can manage? What kind of shooting do you do now, and is there anything that you want to be able to try more of, such as macro, or sports, or birds? Does the system have the right features and lenses to support that? Does the system have a variety of flash options, remote controls, intervalometers, etc? Is there a good amount of third party accessories such as compatible flashes? does the camera maker provide firmware updates, and if so, do they only fix bugs, or do they sometimes add new features? Both Panasonic and Olympus currently have some lens rebates going. If you want to just have one lens for awhile, olympus has a nice 14-150mm/4-5.6 that’s on sale for $400 now (usually $600). It’s rainproof, a little slow at the long end, and not so sharp as their (expensive) PRO series, but from the reviews it’s good bang for the buck, and I’m tempted to get one myself since I could use the extra reach. If you don’t need the tele end, the 12-50 is pretty good for a kit lens if you get a good price. The lenses I use most are the oly 12-50mmwhich has quite a good close up mode but is sometimes a bit soft, and the oly 60mm macro which is extremely sharp. (My street shooting is more likely to be bugs than people:-) For panasonic lenses, I only have the 100-300 which is good for the price but is definitely soft at the long end. The new 100-400 will probably be great, but will also be $1800, ouch. I don’t know much about Sonys other than reading occasional comments, but they don’t seem to have all that many lens choices compared to micro 4/3. If they have what you need, that may be enough, but if you expect an expansion of interests, you’ll have to start looking into lens adapters. Those have been improving quite a lot in the last year, so maybe that’s not a big problem anymore. Have you looked into the Fujis? A lot of people seem to love them to death. Have fun with whatever you get! Whoops, had my shooting style in there at one point, but lost it during an edit. I shoot mainly landscapes, clouds, trees, bushes, leaves, etc. for use as desktop images and slideshows on the TV. I don’t do any real portrait-type shooting, just casual pictures of the kids, some camping/lake pictures in summer, and that’s about it. The Fuji’s *do* look amazing – the X-Pro 2, in fact, is what started me looking at new gear. That would probably be my ideal camera, given its 24MP resolution, wide variety of lenses, weatherproofing, and excellent reviews. But … it’s in another price bracket entirely, and I didn’t win the PowerBall. The X-Pro 1 is much cheaper now, but the lenses look pricey, so not sure I’d be able to hit my budget number. And it’s only 16MP, so below my target … and it would bother me to spend that much and still have to upscale. I know I *can* upscale, but … it seems wrong to do so when I could buy a camera that shoots 6000×4000 :). I really appreciate all the information and links – I’ve got a lot of reading to do, thank you! I’m still not sure what I’ll do, but at least now, I’ve got more data to look at. I really like my Olympus MFT cameras – the cameras and lenses are compact and there are a wide variety of lenses. For a weatherproof minimal system, I recommend a Olympus OM-D E-M5 II with a Panasonic 20mm f/1.7 and a Olympus 14-150 II. That’s what I have. I use the zoom outside and the 20mm inside. I like the Olympus, too, but it doesn’t meet my target resolution – so I’d be upscaling any images that I want at 5120×2880. I figure they’ll have a larger-sensor version coming out soon, but I have an upcoming trip for which I’d like the new camera.